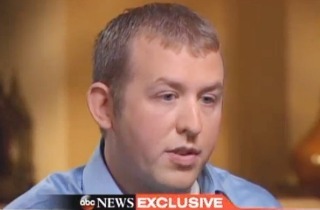 The Department of Justice announced today that they would not charge Officer Darren Wilson of civil rights violations in the death of Michael Brown, whose shooting set off a firestorm of controversy and a heated debate over whether police unfairly target African-Americans. “”There is no evidence upon which prosecutors can rely to disprove Wilson’s stated subjective belief that he feared for his safety,” the report states, according to ABC News. As evidence, they cited the inconsistency of the eyewitnesses, forensic evidence indicating that Brown did not put his hands up, and Wilson’s testimony that he saw Brown reach into his waistband. Though Wilson himself was cleared, a larger DOJ probe into the Ferguson PD’s practices found widespread evidence of systematic discrimination and civil rights abuses — including arresting a disproportionate amount of black people and sending a lot of racist emails — and Attorney General Eric Holder has indicated that he would take action against the department before he leaves office.